Whenever I hear that there is an event showcasing the beautiful culture and music of Africa, I get very excited. Such is the case with the up coming All Africa Music Awards which will held in October in Nigeria. It is always great to see great things coming out of Africa and lord knows, some of the best sounds come out of there. Fuji, Afrobeat, Apala, Afro-Juju, -just name it. I think ya’ll should pay close attention to this event and of course show them some love because in unity comes progress. In my usual style of buzzing when I am loving a concept, I have compiled a list of some things you should know about AFRIMA. My list is insightful so grab your glass of juice and scroll on down to read more. 3. Afrima Village, an open festival- style concert will hold from October 21 to 24. It will consist of African and international artiste. The concert will feature cultural exhibitions and carnival displays (Yaaay- how fun..lol) by participating countries from around the world. 5. On Saturday, October 25th 2014 All Africa Music Awards will produce a star-studded, world-class award event that is set to be broadcast to 84 countries on 109 television stations around the world. So if you can not be there, hey, you get to catch it on TV. If you are going, please look glam and relaxed because you are in for a wonderful night of music, accolades and more. 6. In other words, you have from the 21st till the 25th of October to make it a fun and insightful week with AFRIMA. 7. 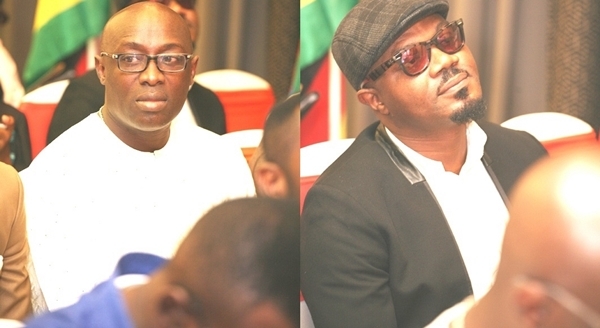 Nigeria will host AFRIMA for 3 consecutive years and those years are 2014, 2015, and 2016. 8. AFRIMA recently did a meeting with the African Union and an international conference in Ethiopia. The African Union Commission just recently endorsed AFRIMA. 10. Some of the award categories include Best Male Artiste Inspirational Music, Best Female Artiste Inspirational Music, Best Female Artiste of East Africa, Best Male Artiste Central Africa, Revelation of the Year, Most Promising Artiste, Songwriter of the Year and more. Will you be looking out for or attending the 2014 AFRIMA? I think you should. Prev Video of Giraffe Giving Birth at San Diego Zoo. OMG!